Take advantage of the hassle-free and affordable car hire Helsinki has to offer. 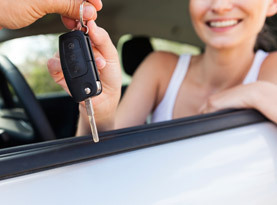 Comparing prices with a wide variety of car hire suppliers is only a click away. Booking Helsinki car hire in advance is as simple as entering your preferred pickup and drop off location, car type and the primary driver's age. Simply submit this information by clicking on the button and sit back to receive a quote and begin booking your online car hire. With Helsinki being the only city in Finland with a transport system consisting of trams and subway stations, it's no surprise that public transportation is one of the most debated subjects in local politics. A hassle-free option for navigating the city is car hire in Helsinki. Helsinki's international airport, Helsinki-Vantaa Airport, is situated roughly 20kms outside of the city centre. The international airport operates direct flights to several European cities such as London, Paris and Amsterdam. The airport is located in Vantaa, which is the next city over from Helsinki. It is best to book and utilise Helsinki car hire services before arrival to make reaching the city centre a smooth process. After visitors pick up their car hire in Helsinki, they should prepare for long days of sightseeing, Scandinavian culture and exploration. Pack up the entire family for a trip out to Linnanmaki Amusement Park, which has been a part of the city since the 1950s. The Korkeasaari Zoo is one of the oldest in the world and your Helsinki car hire provides quick and easy access to this attraction. Museum hopping is made simple with car hire in Helsinki as the National Museum of Finland, Ateneum Art Museum and Museum of Contemporary Art Kiasma are all within close reach by car. Helsinki's location on the Baltic Sea brings milder temperatures than some of its Scandinavian neighbours, with winter (January to February) averaging temperatures around -5°C. The summer months (June to August) see 18 hours of daily sunshine and temperatures between 19 and 21°C.